I upgraded the interior lighting to LED bulbs and built a switched control box for a 24″ light bar that is now mounted above the back glass. 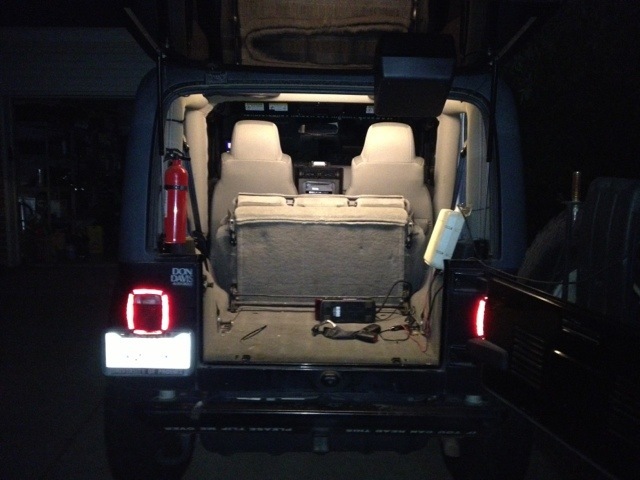 Since Daimler-Chrysler removed the rear dome light from the hard top prior to my model year, I’ve been dealing with a very dark rear cargo area and finally got sick enough of it to do something about it. 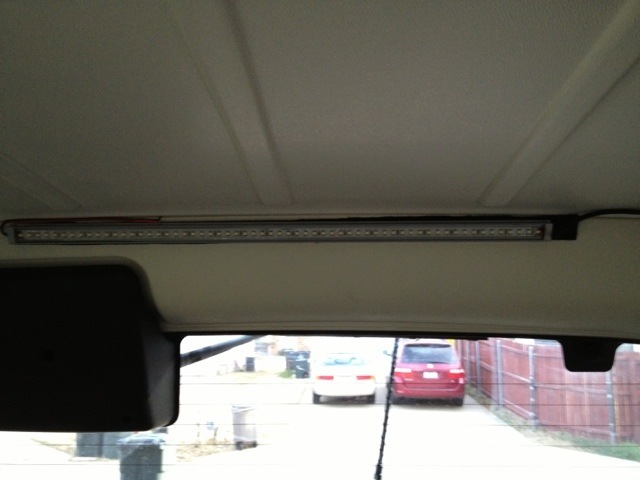 The bar is really bright, as you can see, but only pulls 4.8 watts. I’ve got it wired in to my ham radio power distribution block, so it’s live all the time. Between that and the other two pairs of bulbs, the interior is significantly brighter.